Churches, mosques, temples and other places of worship can be a common target for thieves. These buildings are often very old and commonly have valuables left on site with little security measures in place. Thornhill Security offers a range of resilient products which keep religious buildings safe against theft and more resilient to unauthorised intrusion. When altar ware is not in use, it should be secured in a safe place. Whilst a locked room may suffice in some situations, if the premises were broken into the thief would likely have little trouble gaining access to valuables. 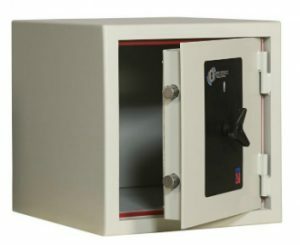 At Thornhill Security, we have a multitude of domestic and commercial safes to suit your needs including our SMP Concept 3 cash safes range, with cash ratings of up to £4,000 meaning insurance companies will cover up to £40,000 in losses. If you already have a safe in place but it is old, consider our safe repairs and upgrades service, ensuring you get the most out of your outdated safe. 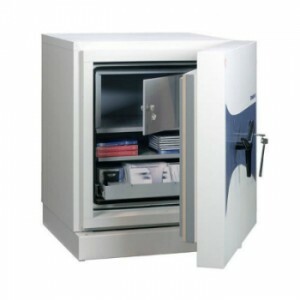 Alternatively, if your premise needs a safe but you are on a budget, consider a second hand safe. Starting at just £200, our used safes are reconditioned, the locking mechanisms are fully checked and serviced with new keys or locks are fitted meaning they do not compromise on quality. Often, religious buildings are left unattended to allow visitors to look around when a service is not taking place. An access control system allows the responsible person to cordon off sections which are accessible at different times during the day. 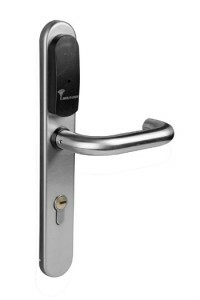 Our access control systems have customisable options for all types of buildings and can be tailor-made to suit the exact requirements of the building and level of security that is required. The systems are operated with PIN systems or access tokens, meaning different people can be granted customised levels of access; for example, the caretaker or maintenance team of the premises can be granted access to rooms that visitors aren’t. A fire can be devastating for religious buildings, with a whole host of parish records, finance records and historic documents at risk. Our fire safes keep contents intact in the event of a fire. Retaining a maximum internal temperature of under 177c paper cannot be destroyed when kept inside. The fire resistance our safes offer ranges from 30 minutes through to 180, meaning in the event of a fire, your documents are more likely to be retrievable. Security Grilles are a robust solution to reinforce any window or door on the exterior or interior of a property. Our grilles are fully customisable meaning they won’t have a negative effect on the aesthetics of the church, mosque or temple but do not compromise security. The addition of grilles can repel attempted break-ins with tools commonly used such as bolt cutters, hacksaws and crowbars. Additionally, security grilles can be fitted to windows – in older places of worship, windows are often single glazed and easily broken into. Keep items that could be used to start fires out of sight, old newspapers, candles etc. Ensure the property is equipped with a working burglar and fire alarm. Keep all doors, windows and gates (if applicable) locked shut when the premises are vacant. Consider a strong padlock for the gated entrances of the premises. Need Help Safeguarding Your Premises? Our team of security experts are at hand to advise you on the most suitable and practical security measures for your premises. We can guide you through the process of securing your premises with a selection of products from delivery to installation. Give our friendly team a call on 0117 963 4994.